Essential Oils are potent and alive. They are the plant's immune system in oil form. Being outdoors, communing with trees, flowers and animals is healing in and of itself. It reduce stress, clears our minds and connects us to the divine. 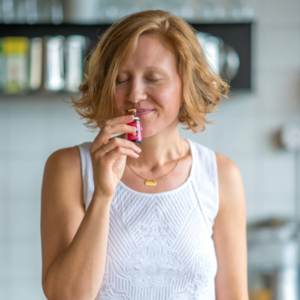 Essential Oils are a powerful way to stay in tune with Mother Nature no matter where we are. I grew up with Young Living's therapeutic grade essential oils and am proud to now be a Young Living Essential Oil Independent Distributor. They are part of my own daily healing toolbox and I share their benefits in private sessions, workshops and overall family health and wellness education. Click here to watch my FREE Essential Oils 101 Webinar. Choose become a member and enter my referral number - 1297951 - to order your Premium Starter Kit! The kit comes with 11 everyday essential oils, your choice of diffuser and free samples. You'll also get 24% off all future orders, be able to share with friends and earn a living (completely optional) and gain access to members-only promotions and specials. Plus, when you sign up, you'll receive free support from me and my team, including over-the-phone check-ins, a members-only resource page and access to a private Facebook group. and reach out anytime with questions.